Some folks credit it to Eleanor Roosevelt, others say Marilyn Monroe or possibly Gloria Steinem...well whatever, it's a quote I hold dear. At our house, we are firm believers in having fun and sowing your wild oats. That time of sowing makes for great stories later on in life, and even if you aren't a writer, it's fun to reflect on those years of fun and frivolity. If you are a writer - even better for adding depth and dimension to your young or wayward characters. "Hey Chad - you had a great time between 20 and 30, right?" With a sparkle in his eye, "Oh yes, I sure did!" To put it in context, I was out having a delightful time with some friends who happen to be young enough to be my children. I tease the young man about claiming him on my taxes since he's eaten more meals at my house than some of the children I've birthed myself. The young man is 22 and getting ready to settle down with a delightful young woman. 1) A lifetime of wondering "What if?" 2) A midlife crisis that usually includes a broken home, shared custody, and pain for innocent children and bystanders. Dear reader, before you get offended - I realize there are some high school sweethearts who marry young and live a dreamy life of bliss...but statistics show most marriages today end in divorce. The happily ever after is something most of us dream about but seldom of us get right the first time. If you are one of the happy couples who beat the odds - good for you - leave a comment about what you think the key to a successful marriage is (please)! I sowed a lot of wild oats and like my friend Chad (not to be confused with sewing which I am not very good at) - I wouldn't change a thing and I don't regret a single seed (even the ones thrown into the wind). As I sit and watch the young couple navigate their own relationship, I smile at my memories of love found, love lost, and all those seeds that have since become journal entries, stories I share with a smile on my face, and someday my very own memoir. I'm not looking to make history, but I'm certainly not claiming to be well behaved either. How do you feel about your youth? Your so-called mis-spent years? What's your plan? Do you share those stories with your friends and family? Are they fond memories? What advice do you have for young couples or young people today? Do you believe in sowing those wild oats? 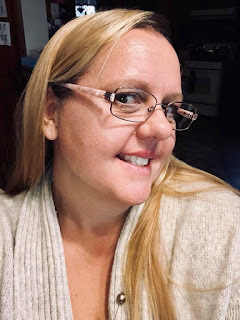 Crystal is a secretary, council secretary, financial secretary, and musician at her church, birth mother, Auntie, babywearing cloth diapering mama (aka crunchy mama), business owner, active journaler, writer and blogger, Blog Tour Manager with WOW! Women on Writing, Publicist with Dream of Things Publishing, Press Corp teammate for the DairyGirl Network, Unicorn Mom Ambassador, as well as a dairy farmer. She lives in Wisconsin with her husband and their five youngest children (Carmen 12, Andre 10, Breccan 5, Delphine 4, and baby Eudora who somehow turned 1 not long ago), two dogs, four little piggies, a handful of cats and kittens, and over 230 Holsteins. Crystal, I hate to say this. Your spelling of the words sew/sewing are spot on. I don't think they are the words you meant. SE - I'm so glad you commented...I meant to get back to this article before it published (and whoops - time got away from me). I wasn't sowing or sewing...lol...your comment popped up in my inbox and got me back here to fix it. How embarrassing but much thanks to you!